Posted in: Monthly Updates, Weekly Post. Tagged: debt, paid off, personal loans, prosper, student loans. Savings: Decided to add up all our Savings accounts into this number. So those other accounts minus the money for Taxes means we still increased the amount by $200+! 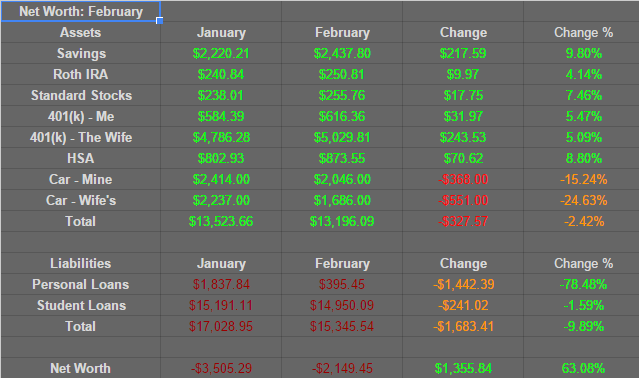 Personal Loans: As of March 2nd, this has been paid off! Woot! Student Loans: The last piece of debt we have. 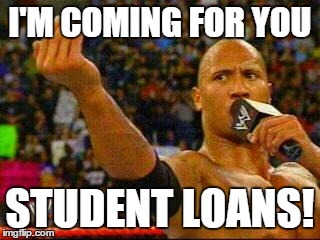 You’re days are numbered Student Loans….